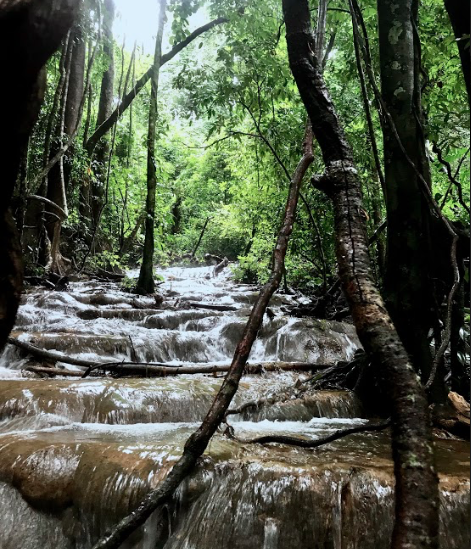 Thailand keeps giving us the prettiest places to explore: With dense forests and pristine beaches, you’ll have a hard time narrowing down which adventure you want to tackle on you trip to Thailand … unless you’re living here for an entire semester, of course. 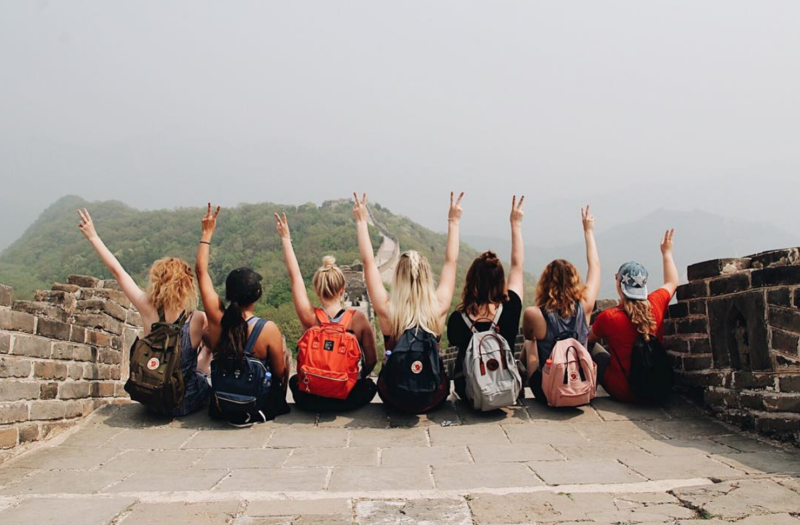 ILP (International Language Programs) sends volunteers abroad to teach English in Thailand for a semester, or longer! Learn more about volunteering in Thailand here. 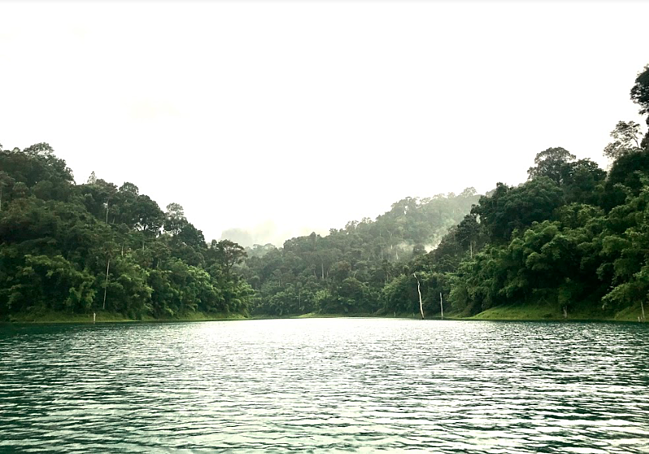 If you’re interested in seeing a rainforest that’s more diverse and untouched than the Amazon (possibly older, too), come to Khao Sok National Park. There’s something about kayaking through the jungle that makes you feel like you’ve stepped back a few hundred years that we can’t get enough of. It’s also one that’s a bit off the track, so you’ll likely only run into a handful of more adventurous tourists. First off, you’ll need to know that this park is in the Surat Thani Province, which is about 3ish hours by car from Phuket, if you’re heading north. The nearest airport to the park is Surat Thani. You can book pretty cheap flights to Surat Thani from Bangkok or even from Phuket which could make this a good option. Once you land, you’ll need to get a bux/taxi/car to take you to the actual park (it's about two hours away). You can hire a taxi and split the price, but it’s going to be a bit pricey that way. One ILP group got to Khao Sok for $8-10, via a mini bus. They leave every hour and you can catch one directly from the airport. They can be booked beforehand on 12go.asia. The bus ride is about two hours and will drop you off on a corner, just down the road from the entrance to the national park. From there, you can hire a truck for $2 a person to take you up the road to your hotel, or just take the 10 minute walk to where you are staying (all accommodations are close to each other). We recommend just walking. Good to know : NokAir does offer a package where you can fly into Surat Thani and have transportation to the park itself all in one for about 1400 Baht. Buses run from Phuket to Khao Sok and are extremely affordable (about 130 -180 Baht). The ride length varies according to the websites you look at, but plan at least 3 hours and maybe up to 5. According the Phuket Bus Terminal, there are six departures from Phuket to Khao Sok daily, but other sources suggest they leave roughly one bus per hour, from 7:00 AM to 3:00 PM. That link gives you an address to the terminal if you’ll be getting a bus from Phuket to Khao Sok. There are also buses from Krabi (another favorite vacation spot). This website advertises a taxi service for 300 Baht. Other ILP groups have reported booking beforehand on 12go.asia — you can hire a 9-passenger van for around $10 per person on 12go.asia from a lot of different locations in the area. Hiring your own car will mean having more flexibility about when you leave and where you re dropped off. There is a 300 Baht ticket to enter the park. it’s valid for 24 hours, so you can leave the park for lunch and re-enter, but only if you still have your ticket (so don’t lose it). The main pull of this park is trekking through to see if you can spot some wildlife (if you’re lucky you can spot jungle cats, elephants, and other animals), and spending time on the lake. There ares some self-guided tours that are more like paths to waterfalls if you would like to go that route. Kayaking, tubing and a night safari are also popular options. It is not required for you to have a guide to do everything here, but we suggest it. Hiring a guide with a tour means you’ll be much more likely to find your way through the jungle and spot animals, plus they can get you to the best parts of the jungle .... like the floating bungalows. 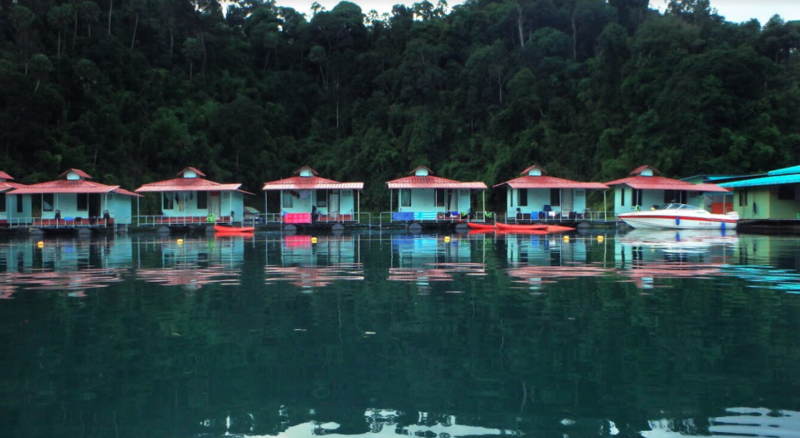 “The cheapest/easiest way to get to the Floating Bungalows is to book with a tour as they will take care of all the transport. My group booked our tour with Smileys Bungalow as it was the cheapest and also included the most. We each paid 2800 baht (including the National Park fee) so about $80 for a 2 day 1 night tour. That 2800 baht includes all your transportation to the lake and bungalows, the stay in the bungalow, all your meals while you're there, and a morning safari, night safari, and jungle hike (during rainy season) or a cave hike (during dry season). “If you stay at Smileys the night before you can just meet them at their lobby for breakfast and then the van will take you from there. If not you can arrange to meet them elsewhere. 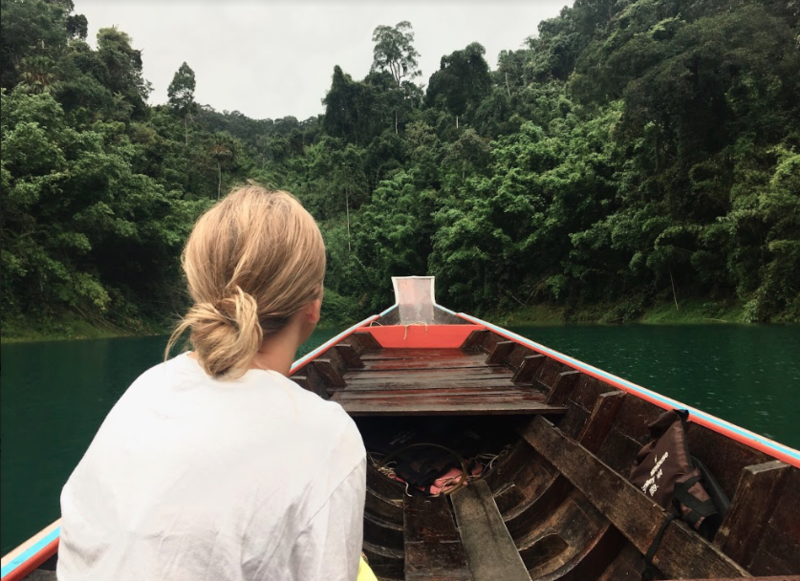 The van will take you to a market for snacks and an ATM and the dock and then you take a longtail boat on the prettiest lake through limestone cliffs covered in trees to the floating bungalows. You can swim, kayak, or relax in your bungalow that sits on the water (plus each bungalow can fit 4 people as they have 2 queen beds). Sounds easy, right? We love this option because you get a taste of the highlights of what this national park has to offer. You’ll find lots of vendors advertising their tours at all the guesthouses in the park and at the entrance. Unless you want to go with a specific tour company, you probably will be okay if you don’t book in advance. This blogger had good things to say about booking tours at Khao Sok Good View resort, where Bao (the owner) was exceptionally helpful when it came to booking tours and helping out. His wife cooks at the resort and his brother leads some of the treks including a night safari. They also mentioning paying 10 Baht to hang out at Monkey Temple and watch a family of monkeys play and squabble. This is best done on a 4-day weekend, or a 3-day trip if you are thinking of flying both ways to get to the park — buses (especially from Bangkok) are cheaper than a flight, but take up a lot of time. Also, bring a dry bag for your adventures. It tends to rain here so you’ll want a place to store phones and cameras when it rains during your safari, and sprays during your boat ride to the bungalows. Also, you’ll find zero cell service or WiFi on the bungalows, so plan on just enjoying the view. Looking for tips when it comes to traveling in Thailand?